Jared Fox, age 25, of Wonder Lake was arrested arrested Wednesday following the home invasion and murder of an Air Force veteran near McHenry on May 27, 2017. Police say Jared Fox was one of two masked men who entered the home of Donald Jouravleff in the block of 1800 Davis Avenue about 1:00 a.m. Saturday morning, May 27, 2017. The men were involved in shooting Jouravleff, and stealing cash. The offenders were described as one white male and one black male. Both suspects were wearing bandanas over their faces, and they fled in a small dark-colored pickup truck, according to a McHenry County sheriff’s office news release. Jouravleff, age 52, died at a local hospital at 2:15 a.m. Saturday, May 27, 2017. 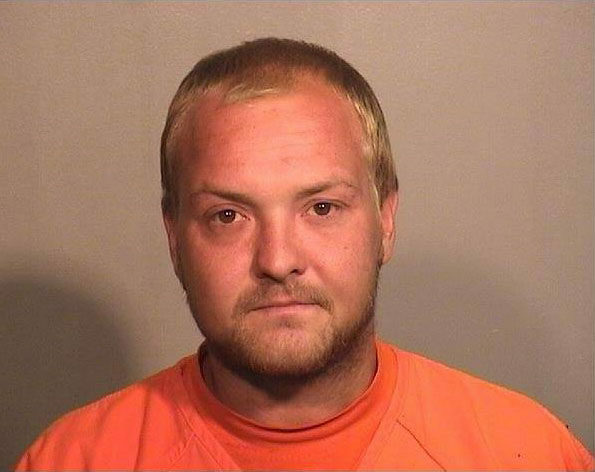 Jared Fox was arrested during a traffic stop Wednesday, June 14, 2017 and charged with first-degree murder and home invasion, according to the McHenry County sheriff’s office. On June 14th, 2017 the McHenry County Sheriff’s Office and the McHenry County Major Investigation Assistance Team (MIAT), with the support of the McHenry County State’s Attorney’s Office, formally charged FOX. Jared Fox appeared in court Thursday morning and was ordered held on a $2.5 million bond. The home invasion is under investigation by the McHenry County Major Investigations Team (MIAT). The sheriff’s office is urging any citizens with information about the incident to call the McHenry County Sheriff’s Office at 815-338-2144.